I love food. It’s safe to say that I like eating and I don’t’ really mind spending on it as long as I get to enjoy it. I grew up learning how to cook from my mom. She would bring me with her to the market and would ask me for help in the kitchen. Learning how to cook at a young age made it easy for me, especially now that I have my own family. When I got married, one of the chores I love doing is shopping for food. My frequent trips to the grocery give me enough satisfaction and happiness. But eventually, the more trips to grocery I have, the more I find myself becoming an impractical shopper. Being an impractical shopper has also made me an inefficient designated cook of our household which eventually led me to become a contributor to food waste. What made me a conscious shopper and a better cook was when I became a mom. Gone are the days when all I ever had to think about was myself and my husband, now that we are a family of four. I find it pretty challenging to prepare food because each one has a unique palette. While we generally love different cuisines, coming up with a meal plan is something I needed to do so that I can provide my family meals that are not only delicious, but healthy too-something that I know they would love and enjoy. Meal planning is a personal thing and it may vary per household, some needs it while some don’t. Most of the time, I get by even if I just wing it and think of what to get in the grocery right then and there. But other times, I find myself too overwhelmed on what to get- which again leads me back to being an impractical shopper. I’ve rounded up a few tips on how you can start planning your meals and a few tips on how to make your trip to the grocery more efficient. Whether you’re planning a week’s worth of food or a month, first things first is to set your budget. Put a cap off on how much you’re gonna spend on your weekly or monthly trip to the grocery. 2. Round up all the recipes you know and want to cook. It’s best to organize your recipes and categorise them accordingly. Pork, chicken, beef, fish, seafood, soup, salad and dessert. Whether it’s your great grandmother’s family recipe or something you picked up on the Internet. It’s best to be organised in the kitchen, even with your recipes. This will make planning your menu easier. I have my cook books placed in a bookshelf together with a notebook where the recipes I got from my mom and those I found online are written. 3. Plan around what you already have. If you have left overs or have existing ingredients, prioritize and make use of those ingredients. I always apply the rule first in-first out when it comes to my pantry. I make sure I use the one I’ve purchased first or the one with the nearest expiration. A choice between weekly, bi-weekly or monthly menu is up to you. Depending on your lifestyle and the people you’ll cook for. Since we live in a condominium and have just the right-size refrigerator, I cannot stock up on food. So I prefer to go with a weekly menu. Since I have two small children, I always include dishes that are easy to prepare and dishes that they like. These would come in handy for times when they request for their favorite dish. You can download or print a weekly menu template so it’s easier to keep track of the food you plan to serve on a weekly basis. Check first what you have in your pantry. See labels for expiration dates and if a product is near expiry, prioritize on cooking it first. Don’t overstock on things you don’t use on a regular basis. A few canned goods is enough as you don’t really need a stockpile. List down only the things you need for a week- that is if you’re doing a weekly menu. Prioritize fresh produce and ingredients you need for cooking over stock/pile up items for your pantry. Be cautious on piling up food for stock and have just enough for emergency situations. It’s a no-no to go to the grocery with an empty stomach. Chances are you’ll end up getting everything you see and adding it on you cart just because you’re feeling hungry. Always make sure that you’re full when you’re at the supermarket to avoid unwanted and impulse purchases, or as I like to call it hunger hoarding. 4. Dedicate a day for grocery. You don’t really have to spend a whole day at the grocery. Just dedicate a day for a trip to the supermarket. Us moms like to multitask and sometimes, this leads to inefficiently doing things. If you schedule grocery day together with another activity or errands, you’ll likely end up hurrying to finish your supermarket errand. This can sometimes lead to forgetting something on your list especially if you haven’t thoroughly gone through it. So take your time at the grocery. I myself like visiting the supermarket either on a Monday or a Tuesday. This way, I get to prep and batch cook our food at the start of the week. While spontaneity is fun, it isn’t when it comes to preparing meals especially if you’re cooking not only for yourself. 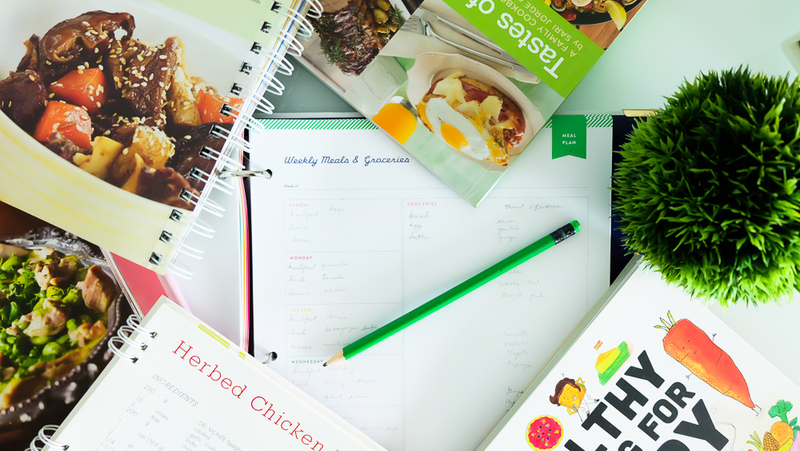 Creating and having a meal plan makes you more efficient and lessens stress when it comes to preparing and cooking meals. You get to save money because you’ve carefully planned for what food you want to serve your family. You also become a healthier eater because having a meal plan will save you from driving thru fast food stores and resist temptation to order take out or have food delivered to you. More importantly, having a meal plan and planning your trip to the grocery would greatly help in reducing food waste. You only get to buy what you need without having to stock up on what you think you need. This is so true: Feed yourself first. I try going to the grocery in an empty stomach and I get all the junk foods I wanted to eat because I am hungry that time. Kaloka lang, when I got home, I dont want to eat those junk food anymore.